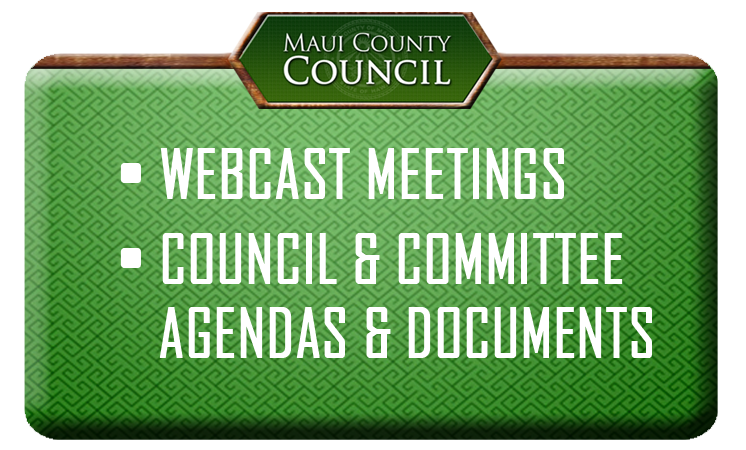 Environmental, Agricultural, and Cultural Preservation Committee meetings are held in the Council Chamber at 1:30 p.m. on the Tuesday prior to the first and third Fridays of each month; however, the schedule is subject to change. Issues relating to the protection, preservation, and enhancement of the environment, including recycling. Conservation and protection of agricultural lands, promotion of diversified agriculture, increasing agricultural self-sufficiency, and assuring the availability of agriculturally suitable lands. Energy issues (including solar, geothermal, wind, biomass, hydropower, wave energy production, biofuel and synthetic fuel production, power systems, and energy-efficient technologies for buildings). Operations and performance audits of the Department of Environmental Management, Environmental Protection and Sustainability Division only, including the operation oversight of any grants it administers. Preserve Local Cultures and Traditions.